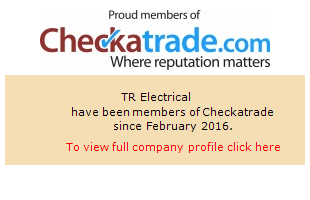 Tristan qualified as an electrician in 1998 during his time in the Royal Engineers. He subsequently served in both Bosnia & Kosovo working on both British Forces bases & helping the local community rebuild the infrastructure. On leaving the British Army in 2001 he joined a Torquay based electrical contractors & worked his way up through the ranks eventually becoming Service Manager & helping to build the business even further. In 2010 Tristan decided to leave & set up on his own knowing that his vast knowledge & experience would help him to create a company that can offer supreme customer service, competitive pricing & work that is carried out to the highest standards. We are happy to discuss any work you may wish to have carried out & we can also offer you a free no obligation quote now, so contact us for more information. Part P refers to the specific section of the Building Regulations for England and Wales that relates to electrical installations in domestic properties & came into effect on January 1st 2005. The Part P requirement is that “Reasonable provision shall be made in the design and installation of electrical installations in order to protect persons operating, maintaining or altering the installations from fire or injury.” Part P applies to fixed electrical installations in dwellings (including gardens and shared amenities in blocks of flats) and affects many of the typical jobs undertaken by electrical contractors, particularly work carried out in kitchens and bathrooms. In short, electrical installations must be safe! This means that, with few exceptions, any electrical work undertaken in your home such as the addition of a new electrical circuit or any work in your kitchen, bathroom or garden area must be notified to the Local Authority Building Control for inspection. However, calling in a building control officer takes time and costs a lot of money. The solution to this problem is self-certification. By using a contractor who is registered with a Competent Persons Scheme such as NICEIC, the contractor will be able to self-certify that the work meets the required standards and that it has been notified to the local authority. Self-certification benefits the householder because by using a Competent Person they don’t have to pay building control fees or submit a building notice. In addition, householders have the important reassurance that by using a Competent Person, they are using a firm that has been independently assessed and certified as competent to carry out the work. All authorised Competent Persons schemes are required to give the customers of their registered installer firms the opportunity to purchase an insurance backed warranty against the risk that the work carried out does not comply with the Building Regulations. What happens if my work isn’t certified correctly? You will have no certificate to prove that the work has been carried out by a registered electrician, or that the work performed has been passed as safe by your local building control.It may be problematic when it comes to selling your home if you cannot produce evidence that electrical work has been carried out in accordance with the Building Regulations. Your local building control may insist that you re-do the electrical work. Finally it is a criminal offense to carry out work that does not comply with building regulations, with a maximum fine of £5,000 for the person responsible.